It might be cold outside but get your winter woollies on because we have lots of festive treats in store for you. 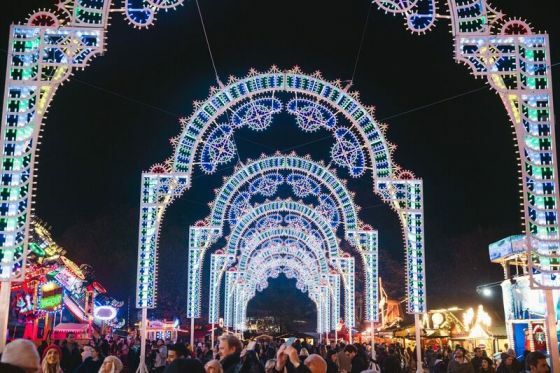 From wreath making workshops to horse drawn carriage rides, and the annual extravaganza that is Hyde Park Winter Wonderland, even the Grinch would be hard pressed not to feel Christmassy. What do pelicans, a disappearing lake and King Charles I’s final walk all have in common? All the answers lie in London’s most visited Royal Park. 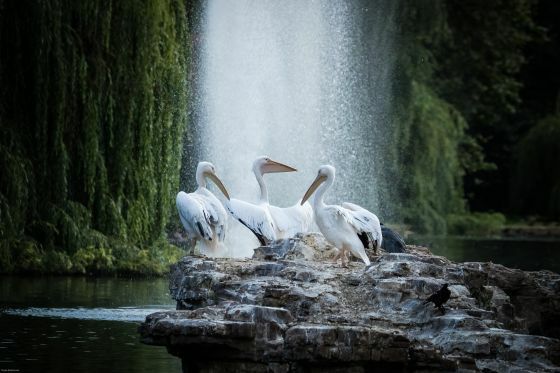 The walk will culminate in a visit to see the park’s most famous residents – the pelicans, a feature of the park since 1664. Watch them being fed their daily diet of mackerel, herring and whiting, and quiz the resident Wildlife Officer on all things nature. Make your front door stand out from the crowd, by creating your very own festive wreath in London’s Hyde Park. 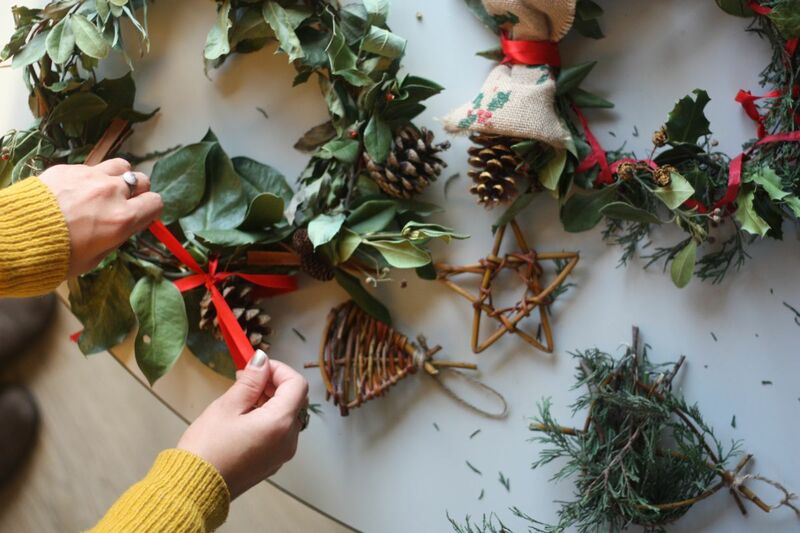 Using a combination of materials from our garden, including holly, pine cones, dogwood and willow, you will create a Christmas masterpiece fit for Santa. Not only will your home feel like Christmas, it will smell like it too. Festive refreshments and tunes provided as standard. Where: The LookOut Discovery Centre, Hyde Park. 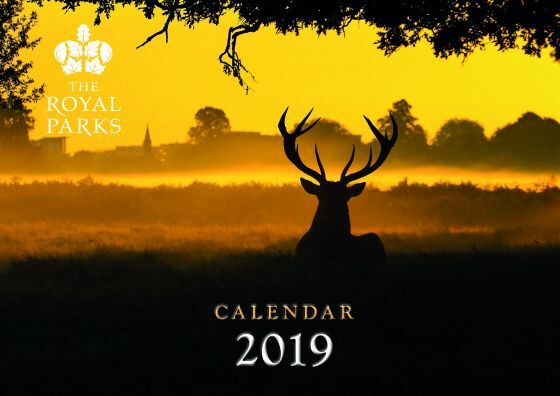 From shy pelicans in St James’s Park and vain deer in Richmond Park, to magnificent sunsets in Bushy Park – the calendar provides a snapshot of what makes London’s eight Royal Parks so special. Each picture in the calendar has been hand-selected from entries to our 2018 photo competition. The A4 calendar costs £9.99 and all proceeds will go towards maintaining and managing our 5,000 acres of historic parkland in London. Taking place over six weeks, Hyde Park Winter Wonderland is a sprinkle of winter magic in the heart of the Capital. This year will see the return of the Magical Ice Kingdom with an ‘Enchanted Forest theme’, the UK's largest outdoor Ice Rink, the iconic Giant Observation Wheel and shows from Zippos Circus in the Big Top, plus a huge selection of food and drink stalls and more! New to 2018 is an immersive cinematic experience, brought to you by Backyard Cinema, to celebrate the 40th anniversary of everyone’s favourite Christmas movie, The Snowman. Families can also enjoy a magical journey through Tellytubbyland, with the Teletubbies Live Show heading to the MegaDome every morning. Winter Wonderland is free to enter to the public from 4pm on 22 November 2018 until 6 January 2019. The best time to visit, especially if you have little ones, is weekday mornings and afternoons. So, wrap up warm and get out early to make the most of your day. As the year's shortest day approaches; join us for a stroll through Kensington Gardens to look at the seasonal folklore and traditions that have developed over the centuries. On this walk you will find out what Christmas traditions Queen Victoria and her consort Prince Albert introduced to Britain, why robins appear on Christmas cards, and how holly was protected by Kings. This Christmas visit Bushy, Greenwich or Richmond Parks to take your pick from a variety of non-drop trees including Nordman, Noble and Fraser Fir. The stalls will be a one-stop-shop for all your festive needs, with baubles and fairy lights for sale, as well as wreaths and garlands. Each tree is hand selected to ensure it is of the highest quality and comes with a care label and a unique code, so you can check online the origin of your tree. 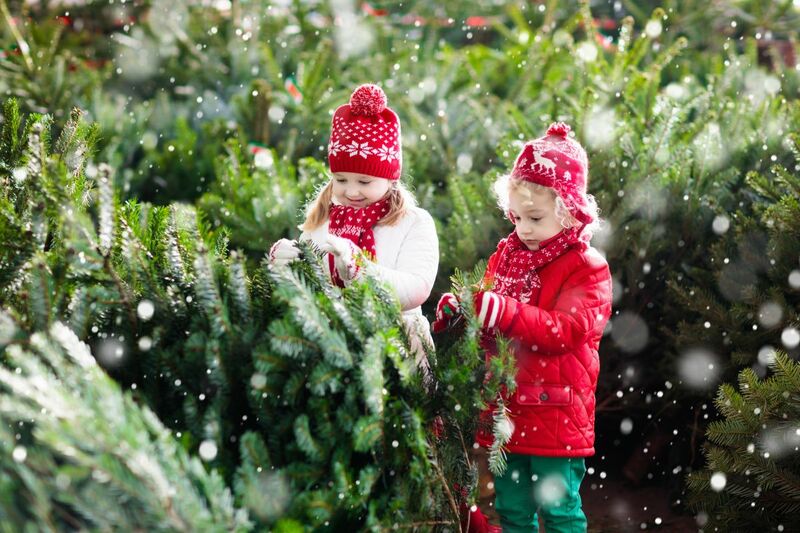 Christmas trees will be available for purchase from the following Royal Parks from 23 -25 November and then every day from 28 November to 22 December. Proceeds from the sales will go towards maintaining and managing our 5,000 acres of historic parkland in London. 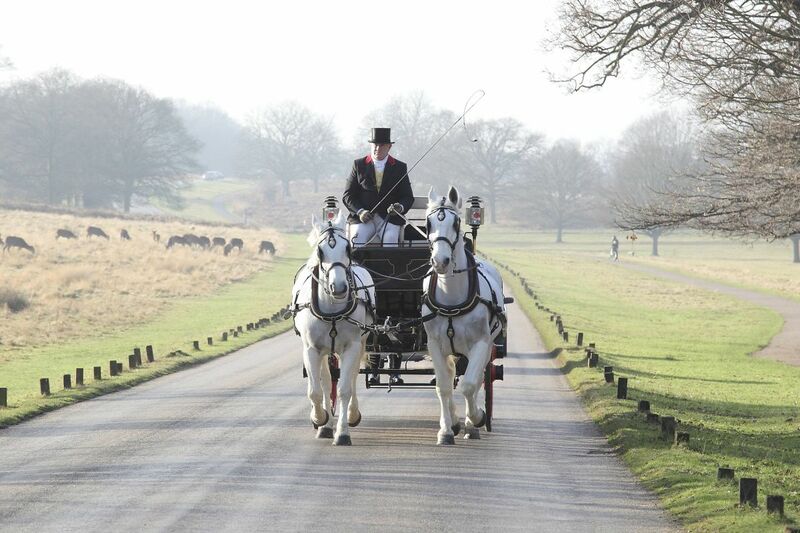 Step back in time, and enjoy a ride through Richmond Park the old fashioned way. Snuggle under a blanket, with a sloe gin in hand, and let our majestic Shire horses transport you through this National Nature Reserve, offering an unforgettable vantage point of the park in its stark wintry beauty. Proceeds from the rides will help fund sustainable conservation initiatives with the working Shire horses in The Royal Parks. When: Various dates from 25 November 2018 to 6 January 2019. If you fancy some festive treats and a latte with a view, why not pay a visit to beautiful Brompton Cemetery? With support from the Heritage Lottery Fund we’ve just completed a £6.2m restoration of the cemetery – revealing architectural splendour and preserving a historic landscape and a wildlife haven for communities in a densely populated part of London. 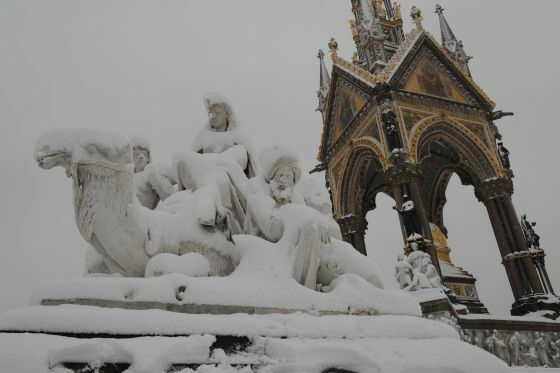 There are around 205,000 people buried in the cemetery – including Sir Henry Cole, who is believed to have invented the Christmas card. As part of the project, we’ve also built a brand new café by the North Entrance off Old Brompton Road, where you can stop to refuel after a stretch around the beautiful monuments and maybe even write a few of your own Christmas cards. 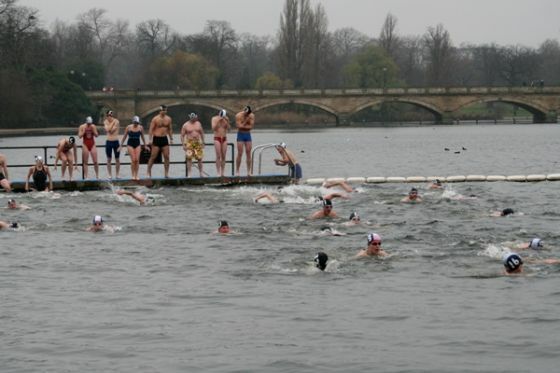 Swimmers have been taking to the water in Hyde Park since 1864, to race against each other in an icy 100 yard swimming race before going home to tuck into their Christmas dinner. The race is only open to members of the Serpentine Swimming Club but members of the public can watch for free. For more information visit the Serpentine Swimming Club website. 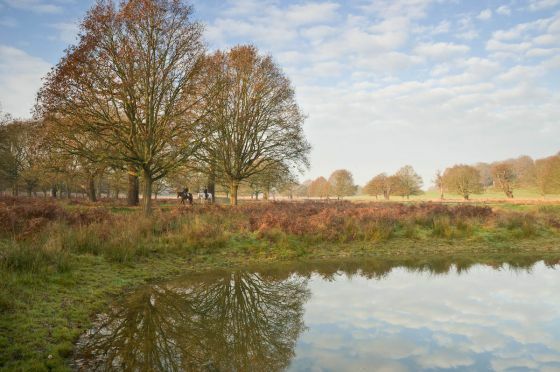 Walk off that extra helping of Christmas pud by joining the Friends of Richmond Park for a guided stroll on 26 December. Meet at Roehampton Gate car park in Richmond Park at 10am. The walk is free and will last approximately two hours.